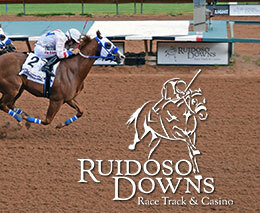 Ruidoso Downs enjoyed across the board increases for their just concluded 2018 live race meet. RUIDOSO DOWNS, NM—SEPTEMBER 6, 2018— The first season of racing at Ruidoso Downs under the new ownership of All American Ruidoso Downs, LLC (AARD) has been deemed a tremendous success. "Our first season was gratifying to the extent we made some policy choices and some investments that fans and horsemen responded to favorably," said True, president and general manager.